Newsletter plugin is developed to provide fully customizable mailing tool. Plugin allows you to design masterpiece letters in several clicks. And we are still working on plugin improvement and keep adding new creative and smart templates. 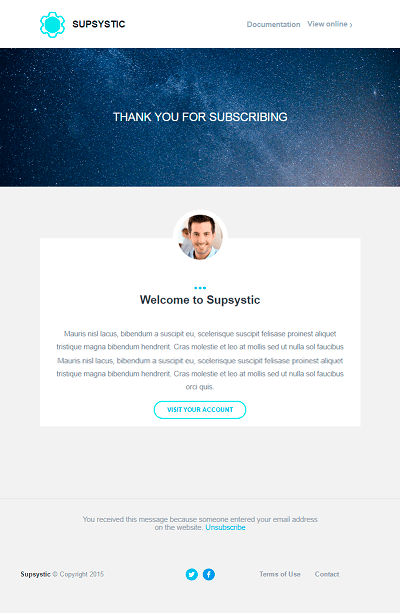 Supsystic Team have released New PRO Templates for Newsletter plugin, designed on the best mailing experiences from different companies and those are enough to make your newsletter look bright and well-designed. Our new templates can be used as a base for your mailing. We generally used the most successful models of different newsletter types. Use it to provide customers with detailed information on payment. 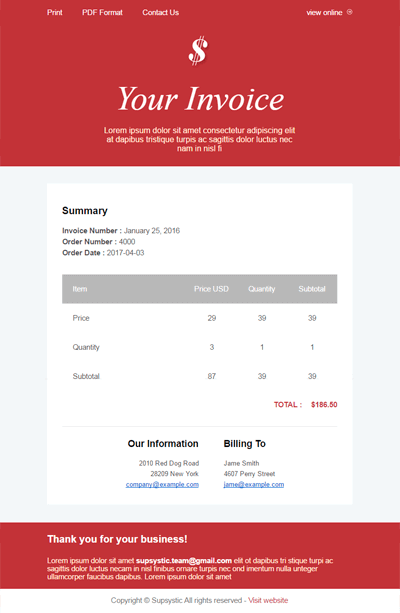 You can add additional fields in newsletter template builder. Nice template for susbscription confirmation letter. Also it can be used to thank user for subscription or allow him unsubscribe if he haven’t subscribed. Perfect theme for advertisement of your online business! Describe the best offers and show your products in a favorable light. For those running blogs we have designed couple of well-looking templates as well. The first one was designed for life-style blog subscribers. And the second one was designed in modern black – you will appreciate it if you prefer minimalistic design. There is also a template dedicated to events – it has all necessary details and fields to be edited for your event. However you can use any of these templates for different needs – simply editing newsleter with template builder – add new blocks, elements and customize the view of your newsletter. Supsystic Team developed for you nice and smart templates of Newsletter plugin. Choose the one and create effective mailing tool for your business! Share with us your newsletter examples in the comments below!